The world of entertainment especially music is evolving with each era. New genres, styles of music like Trap and new artists keep emerging each day. Gone are the days when the youth listened to the oldies, and if there are any, the numbers are reducing. If you are a fan of the Classics and used to visit the Opera once in a while, then you are in for a treat. 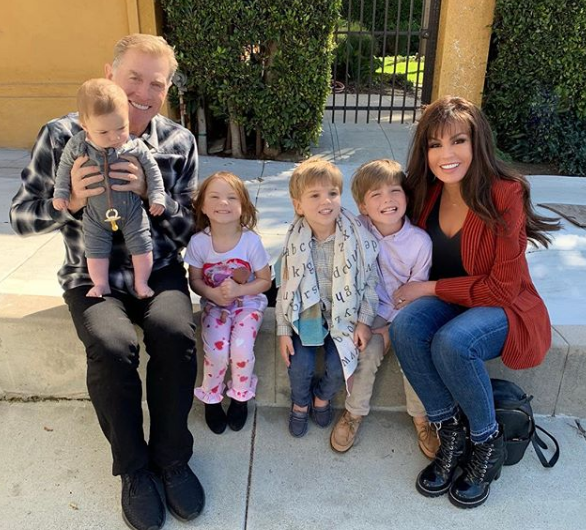 We focus on Marie Osmond and reveal interesting details like Marie Osmond net worth, Husband, children, age and more. An American singer, author, actress and doll designer. Singing and performing country music. Her first single 'Paper Roses'. It's an end of an era. Donny and Marie Osmond are saying goodbye to their Las Vegas show later this year, concluding an 11-year residency. “It's the end of the Donny & Marie show, it's not the end of Donny and Marie,” he said. Who is Donny Osmond exit Las Vegas Show with Marie Osmond? Marie Osmond was born in Ogden, Utah to the family of George Virl Osmond and Olive May. As a child, she was a member of The Church of Jesus Christ of Latter-day Saints. Her brothers are Tom Osmond, Virl Osmond, Alan Osmond, Wayne Osmond, Merill Osmond, Jay Osmond, Donny Osmond, and Jimmy Osmond. All of her brothers are active in show business, performing and singing on national television. She herself made a debut on TV as the part of her brother's act The Osmond Brothers on The Andy Williams Show when she was just four years of age. Osmond gained initial success as a solo artist and became a teen idol in 1970. She's focused on the country music while her brothers were basically focused on performing contemporary pop music at the time. She released her first single 'Paper Roses' in 1973 as a solo artist. She released another single 'In My Little Corner of the World' the next year that entered the Billboard country Top 40. She came up with her fourth studio album named 'This Is The Way That I Feel' in 1977. She collaborated with Dan Seals singing a duet called 'Meet Me in Montana'. The song became the no. 1 country hit in 1985. Some of her hit songs include I Only Wanted You, You're Still New to Me, and Everybody's Crazy 'Bout My Baby. Her latest work Music IS Medicine was released in April 2016 by the online retailer Amazon.com, iTunes, and Walmart. Besides music, she involved in acting as well. She started her acting in 1976 in Donny & Marie. The show was renamed The Osmond Family Hour in 1979. She performed in the documentary series Ripley's Believe It or Not! with Jack Palance in 1985 and 1986 for two seasons. She appeared with her brother Donny in the short-lived 1995 ABC sitcom Maybe This Time. In 2006, she became the judge on Fox celeb reality show competition Celebrity Duets. This book was published on May 1, 2001, and discusses her struggles with postpartum depression. From her successful career, she was nominated for many awards including Grammy Awards, Academy of Country Music Awards, and Country Music Association Awards. Out of these nine nominations she success to grabbed Country Music Association Awards of Vocal Duo of the Year for Dan Seals and Marie Osmond in 1987.
Who has Marie Osmond been married to? Reflecting her personal life, Marie has been married three times and twice with the same man. Previously, she was in a relationship with Jeff Clayton, an acting student. The couple got engaged in 1979 but soon called off the betrothal. She mentioned that it was too tough for her to make a commitment as marriage is a very crucial step. Later, she married her first husband the Brigham Young University basketball player Stephen Lyle Craig on 26th June 1982. They welcomed their only child Stephen James Craig on 20th June 1983. Because of some personal disputes, the two divorced in 1985. The next year she married Brian Blosil at the Jordan River Temple in Utah in October 1986. The couple shares two kids Rachael Lauren (1989) and Matthew Richard (1998). Also, they adopted five more kids namely Michael Bryan, Brandon Warren, Brianna Patricia, Abigail Olive May, and Jessica Marie. Her daughter Jessica is bisexual. Osmond revealed the fact in April 2009 and mentioned that she's living with her partner in Los Angles. The couple announced they were divorcing on 4th March 2011. In May 2011, she remarried her first husband Craig in a small ceremony in the Las Vegas Nevada Temple and wore the same dress from her first wedding. Her son Michael killed himself by jumping from the eighth floors of his apartment on 26th February 2010. Source reported that he was in rehabilitation at the age of 12. He was battling from depression and addiction. Osmand herself suffered from postpartum depression back in 1999. 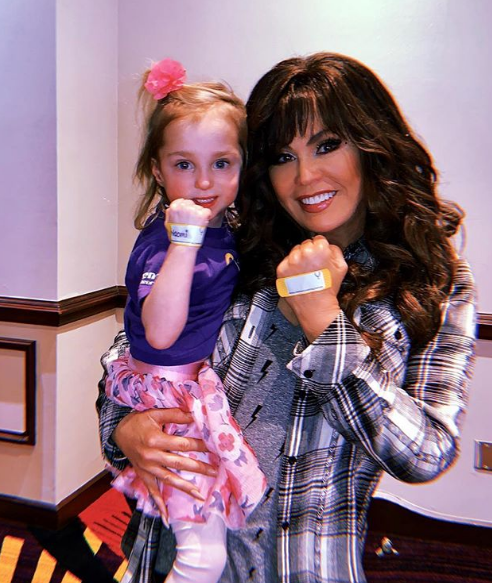 What is Marie Osmond's net worth? The singer Marie Osmond net worth is estimated to be of over $20 million. Her fortune has been generated mostly through her musical career. Her net worth has been amassed through her album sales through her loyal fans. Other sources include her acting career and endorsements she gets from different brands. Details on the property she owns her cars and house are still unknown. However, she uploads pictures on social media standing next to a Chrysler. The actress was born a pretty young girl and she grew into a pretty woman too. This beauty is easily noticed with her height of 5 feet 5 inches. With that height, her weight was obtained as 54kg or 120lbs. Further, Her other measurements are 39-27-37 inches. We have reason to believe that Singer/Actress Marie Osmond underwent plastic surgery. It’s either that or the cosmetics she uses have a secret ingredient she’s yet to share with the world. Here’s why. When comparing old photos and the recent ones, it’s as clear as day that you will notice some visible changes. From her ecstatic smile and laughter, one thing was certain. Her upper gums were quite visible but now don’t show at all. Moreover, her adoring fans seemed to have speculated a breast enlargement supposedly as a result of possible breast implants. Other minor changes include her nose appearance. From her revamped nasal tip, bridge and overall nasal shape one can deduce she went for a facelift. Speculations aside, the singer has confirmed that she has undergone surgery to change her looks. However, it is quite the opposite of most people’s opinions. According to E-News, Marie Osmond revealed that she went for a breast reduction surgery rather than breast augmentation. Quite an unbelievable right? The singer complained of back problems as a result of her E cup size breasts at the time. It is unclear whether she underwent a facelift since she has yet to comment on the matter. But to the ladies out there, the 58-year-old did give out a beauty tip as to what works for her. Lots of sunscreens and a type of HydraFacial laser-based procedure to tighten the skin could work wonders. 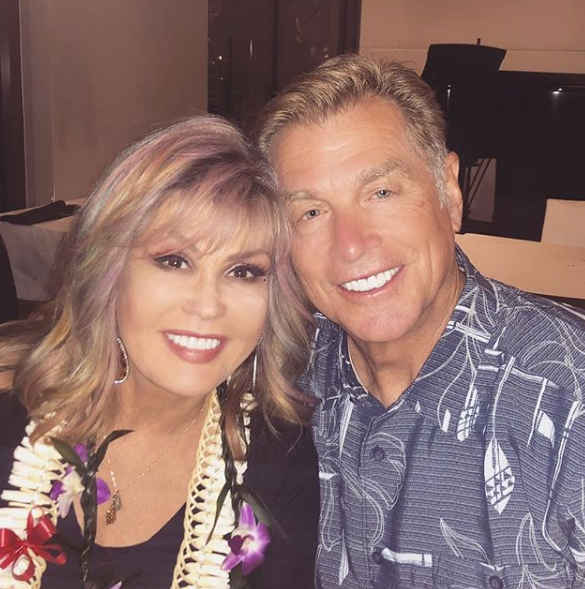 So yes, Marie Osmond has undergone plastic surgery. Her son, Michael Blosil, killed himself by leaping to his death on February 26, 2010, in Los Angeles. She has five adopted children. On April 29, 2009, Marie revealed that her eldest daughter, Jessica, was a lesbian and had been living with her girlfriend for the past three years in Los Angeles.